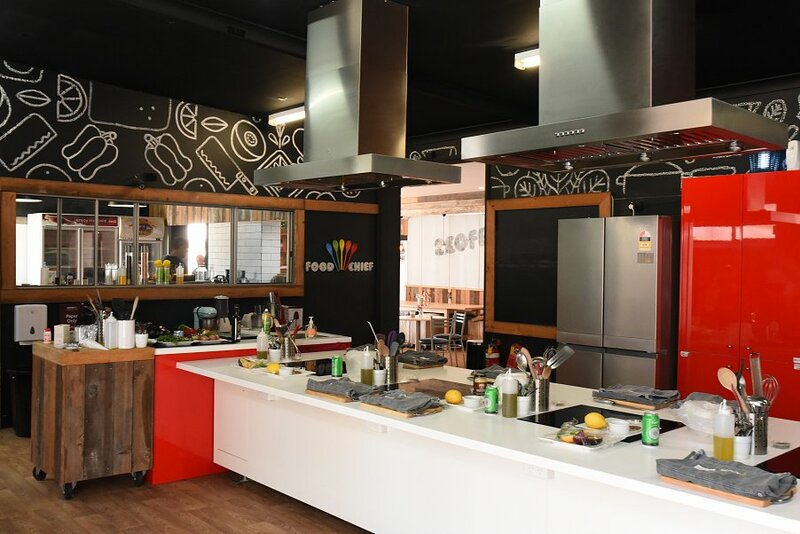 Adelaide Food Central tested our culinary skills last week by attending a cooking class at Scoffed Cooking School! Scoffed is all about teaching everyone, either young or old, how to cook amazing dishes at home. It all began with Nadine and Mark, a couple from Liverpool in England. They built this business on their passion to teach anyone, no matter their background or experience, to cook restaurant quality food at home. Scoffed host classes for children as well as adults, and has the delightful slogan “where kids act like adults…and adults act like kids”. The word ‘scoffed’ is and English slang word that means ‘to eat quickly’. Scoffed has been teaching foodies and non-foodies for three years. “It’s our philosophy to teach people how to cook beautiful food at home. If people can’t take our recipes home and replicate them, we’ve failed.” said Nadine. We were welcomed inside the school by Nadine, who told us that Scoffed had always been a dream of hers. Our class had an Australia Day BBQ theme, with Chimmichurri Prawns with Mango Salsa, Lamb Rack with Babaganoush, Beer Can Chicken and Wattleseed Pavlova. 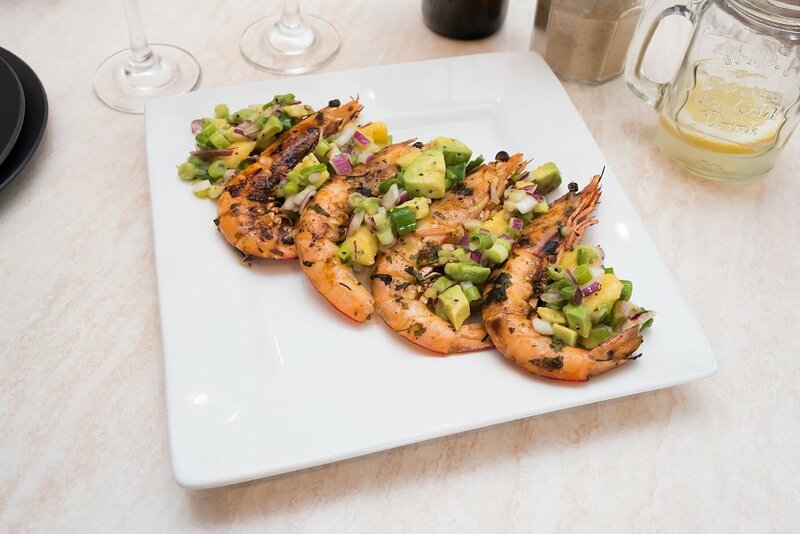 As a novice chef myself, I was a little nervous at attempting these dishes, but our fabulous chef was there to guide us through! Our chef was Alon Alazraki. He has trained in Le Cordon Bleu in Sydney and has been in the restaurant industry for years. He really eased us through the recipes and taught us many tips and tricks for perfecting our cooking techniques. He was also a lot of fun and had a fantastic sense of humour! There were three groups in our class with different ranges of cooking experience. Alon really looked after us and answered whatever questions we had. There was no rush and no pressure, just a lot of fun! I especially enjoyed preparing the Beer Can Chicken, I’d never heard of this Aussie BBQ favourite before and it is certainly very unique! Mark taught us how to properly prepare and cook on a barbeque, and as someone who really doesn’t use a barbeque -like ever- it was really interesting and useful. We worked with the barbeques for most of the session. We cooked our meats, veggies, and even our pavlova in the barbeque. It was surprising to see how quick and easy it can be to cook using one appliance! We ate the food we have prepared together on a long table, it was lovely to get to know other people who had a lot or little experience cooking. Scoffed has recently begun a partnership with Big Shed Brewing, so we got to try some of their craft beers with our dishes. With our pavlova, we got to try Big Shed’s ‘Golden Stout Time’, which is a dessert beer that plays on the iconic ‘Golden Gaytime’ ice cream. It was creamy and sweet, pairing very well with the pavlova and fresh fruit. Our experience at Scoffed was very educational, but also very fun. It’s surprising how easy the recipes were to follow and how much we improved as cooks after one lesson. A huge thank you to Nadine, Mark and Alon for having us! We had such a fantastic time and we can’t wait to use the new recipes and skills we learned. If you would like to take any of Scoffed’s cooking classes, you can check out their website. Scoffed can host parties and events for both children and adults, as well as solo bookings. There surely is a class for everyone at Scoffed!